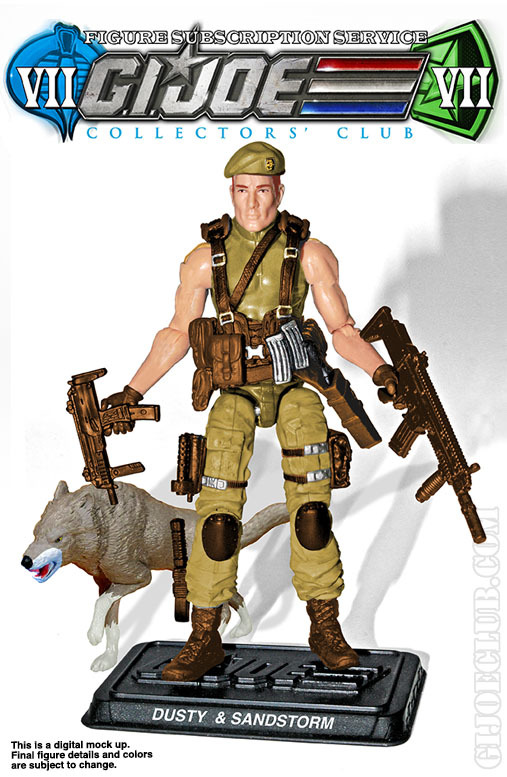 Seems the GI Joe Collector’s Club heard the outcry and revised the digital mockup for their Dusty FSS 7.0 figure. Great improvement. Thank you Club! FSS 7.0 Reveal – Dusty and Sandstorm! The first reveal is Dusty and his coyote Sandstorm. Sound off after the jump on how you feel about this one. The G.I.Joe Redemption project from the PHX Customs crew has come and gone and it goes without saying that the team has hit another grand slam home run! For the last three summers, the team at PHXCustoms (bucky, Dusty79, Oreobuilder and more recently DanoftheDead) have presented their little Joe-verse that they call GI Joe: Resurgence. Since 2014, it has grown in scope to include not only custom figures and vehicles, but packaging mock-ups, artwork and story lines recounted through the file cards. In 2016, PHX Customs concluded their first trilogy with a massive battle at Cobra Mountain that saw Cobra Commander defeated and most of Cobra captured and fractured. Following the roll out of Resurgence 3, the team felt like they needed a break. However, they couldn’t resist coming back to their Joe-verse for a short story that would introduce the next chapter of the Resurgence saga coming in 2018. Below is a re-cap of what was shared throughout the course of the project, but do yourself a favor…make sure to join us after the break to see even more images of these awesome customs! Special thanks go out to The Loyal Subjects Official Facebook Group for sharing word that everything on the Hot Topic website is 50% off using promo code 7B5LQ76P7WDH. 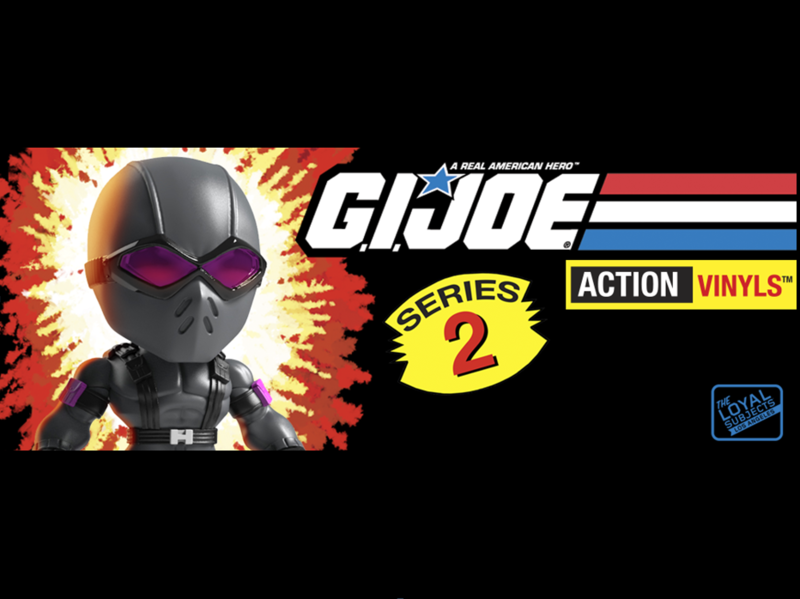 Available under the discount code are the G.I.Joe series 2 blind box figures from The Loyal Subjects. Please note: Items like the Watchtower & FANG copter aren’t out yet, but will be soon! So if you were waiting to pick these awesome lil figures up, there’s no better time than now! 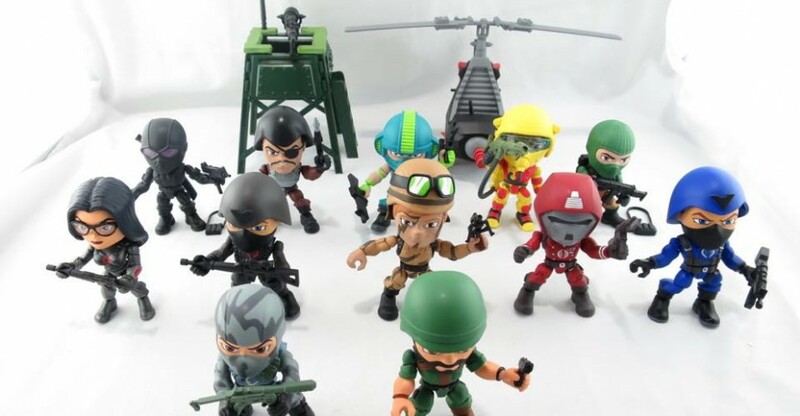 Special thanks go to Mr. Jonathan Cathey for sharing this video from the Nuremberg Toy Show of the upcoming 2nd wave of G.I.Joe Action Vinyls from The Loyal Subjects! In the video we can see the full wave in all their painted glory. I don’t know about you, but I cannot WAIT to have these on my shelves! Check out the video below, then join us after the break for discussion already in progress. Don’t forget, you can check out this video and get info on all of your favorite TLS vinyl figures by visiting Official The Loyal Subjects Facebook Group! Dusty loves the desert. The blistering heat during the day, the freezing cold at night, snakes, scorpions, sheet lightning, dust storms, and gritty sand – none of these things bother dusty. That’s because, to him, the desert is his home – every hot and sandy bit of it. He and Bazooka race against time to stop Firefly from launching a large-scale incendiary attack, tracking the explosives expert across the desert. Check out all the new images of G.I. Joe 50th Anniversary Dusty after the jump. There’s also been recent sightings in Texas, so hopefully it won’t be too much longer before these arrive at all Toys R Us stores. Happy hunting! EDIT: It turns out Ramielschild made the 1st sighting in Texas. 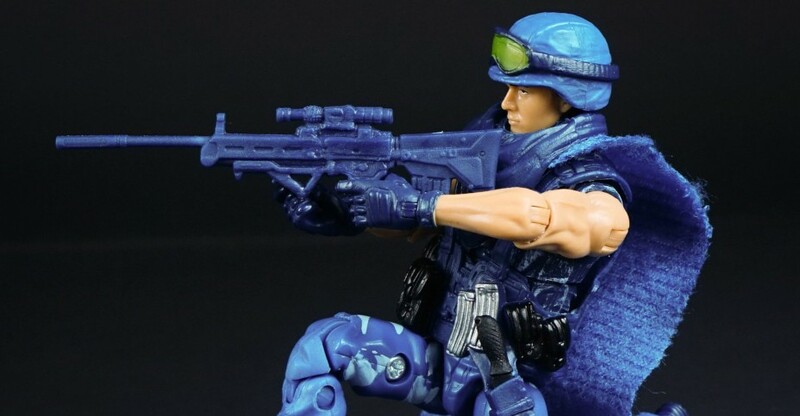 Have you found these new Joes yet? 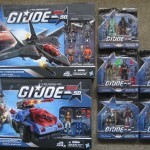 Post your sightings in our GI Joe sightings forums! Like to snap photos of your Joes? 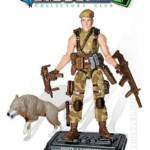 Post your GI Joe 50th Anniversary 2015 photos here!